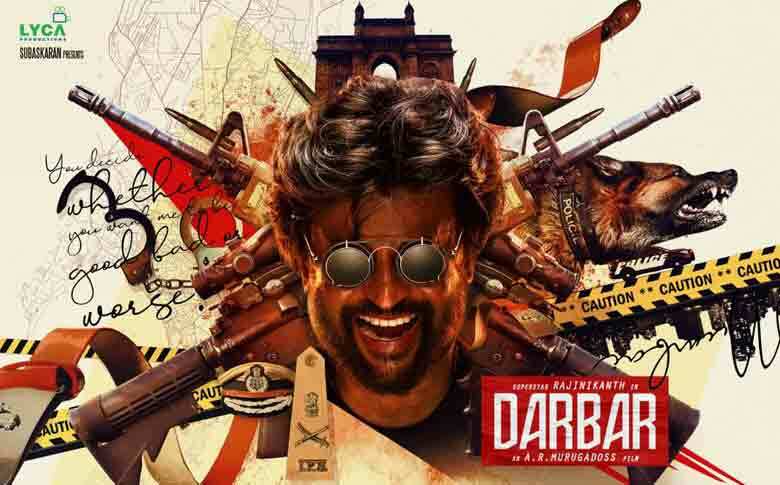 After the super hit film Petta, Rajinikanth fans have been exclaiming about their superstar having a furious comeback and is in a savannah of pride and joy, all thanks to Karthik Subharaj for framing a well scripted and well-taken film. Now in the news is the new poster of the Superstar’s upcoming project ‘Darbar’ tweeted by its director A R Murugadoss. The first look of the poster is very ravishing and ‘Thalaivar’ has that supercool cop look unveiled. This is for the first time Rajinikanth and Director Murugadoss are joining hands. Earlier titled as ‘Thalaivar 167’, it is after a long 25 years that Rajinikanth is playing the role of a cop in ‘Darbar’. The female lead role will be played by Nayanthara who has also worked with him in projects like ‘Kuselan’, ‘Chandramukhi’ and ‘Sivaji’. The poster looks ruckus with all those police equipment and weapons and it reads “You decide whether you want to be good, bad or worse. “ The poster has thunder-struck the internet already! Santhosh Sivan will handle the camera and the project comes under the banner of Lyca Productions. The film is an Anirudh musical and is set to release on Pongal 2020.